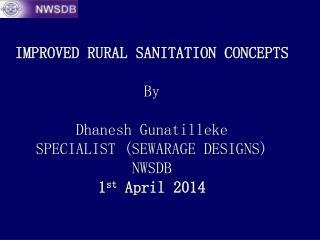 SANITATION. COVERT OPERATIONS. 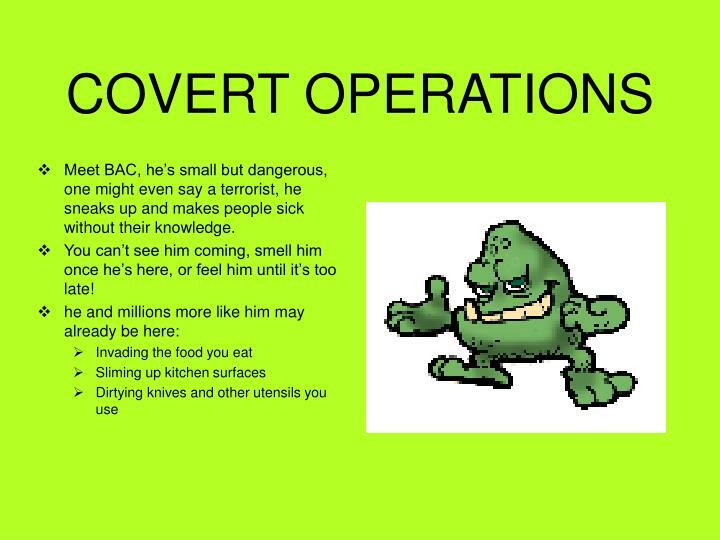 Meet BAC, he’s small but dangerous, one might even say a terrorist, he sneaks up and makes people sick without their knowledge. 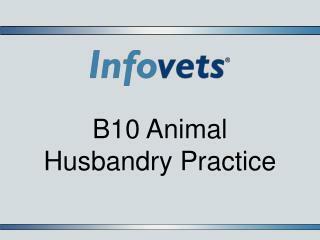 You can’t see him coming, smell him once he’s here, or feel him until it’s too late! Meet BAC, he’s small but dangerous, one might even say a terrorist, he sneaks up and makes people sick without their knowledge. You can’t see him coming, smell him once he’s here, or feel him until it’s too late! 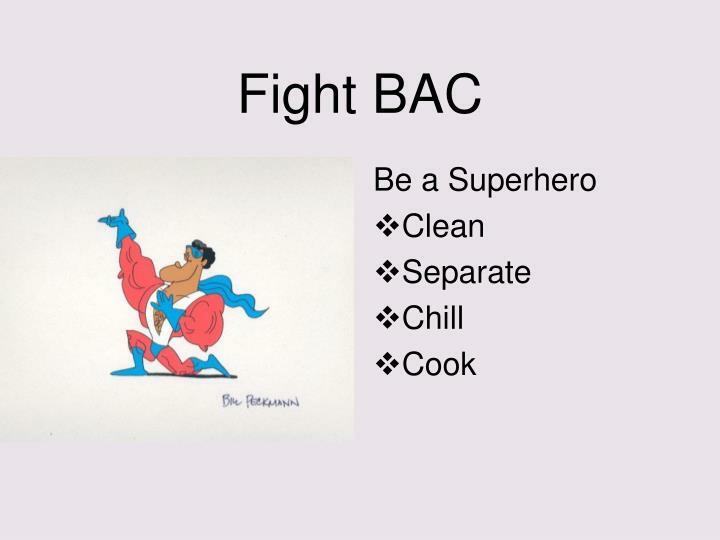 You have the power to Fight BAC! 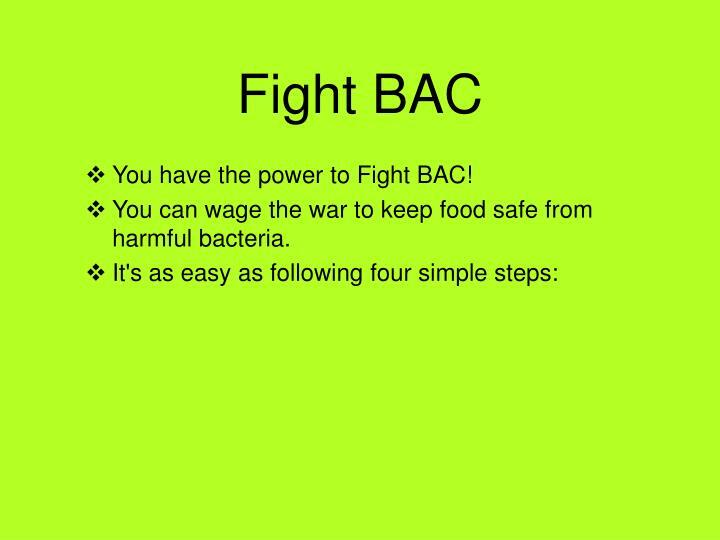 You can wage the war to keep food safe from harmful bacteria. 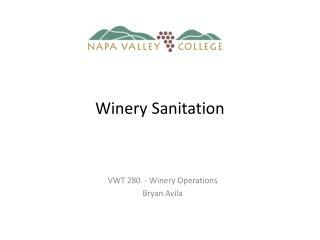 CLEANWash hands and surfaces often! 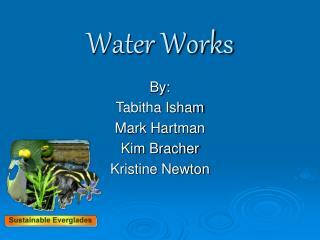 Head them off at the pass, a simple dose of soap and hot water gets rid of many of the little critters! 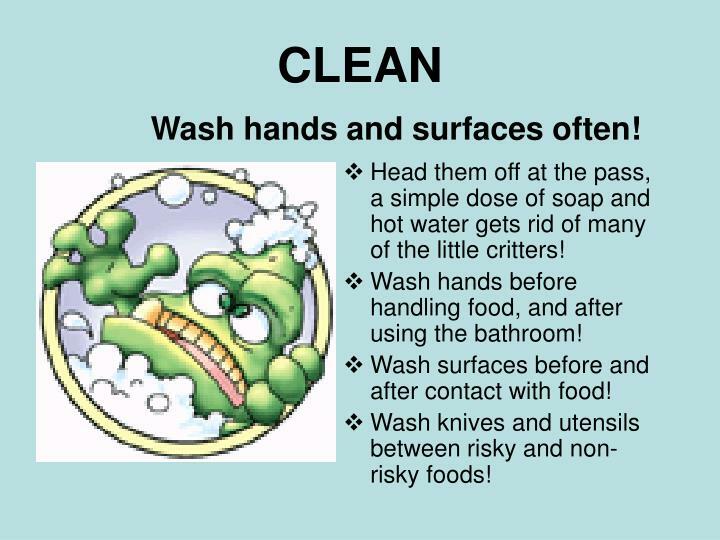 Wash hands before handling food, and after using the bathroom! 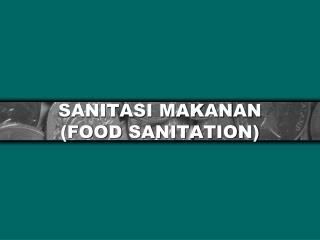 Wash surfaces before and after contact with food! 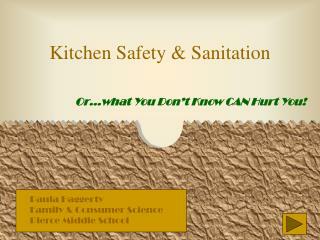 Wash knives and utensils betweenrisky andnon-risky foods! Risky & Non-Risky Foods“What are those?” you ask. 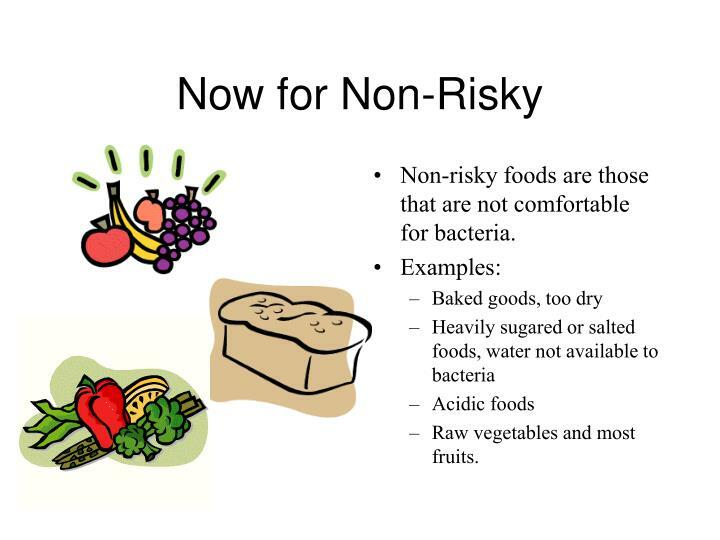 Risky Foods are foods that bacteria like, they have food, water, and a comfortable environment for the bacteria to live in. 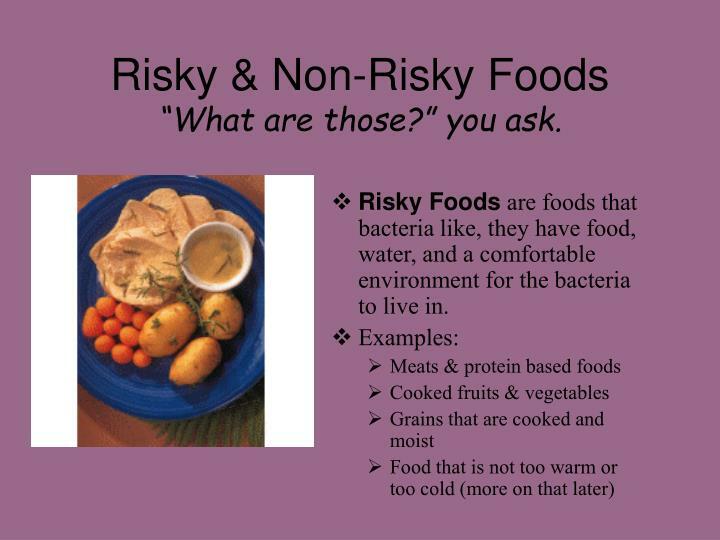 Non-risky foods are those that are not comfortable for bacteria. 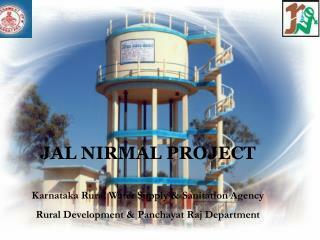 Raw vegetables and most fruits. 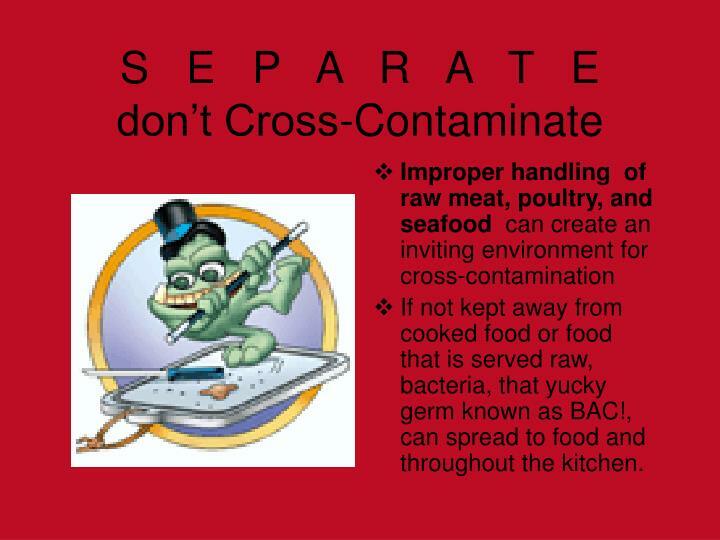 If not kept away from cooked food or food that is served raw, bacteria, that yucky germ known as BAC!, can spread to food and throughout the kitchen. Seal It - Be sure to seal raw meat well so the juices don’t drip on other food. 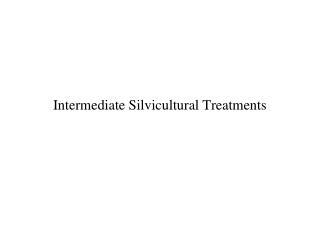 Sauce for Marinade Juices used to marinate meat in should either be thrown away or heated to a boil. 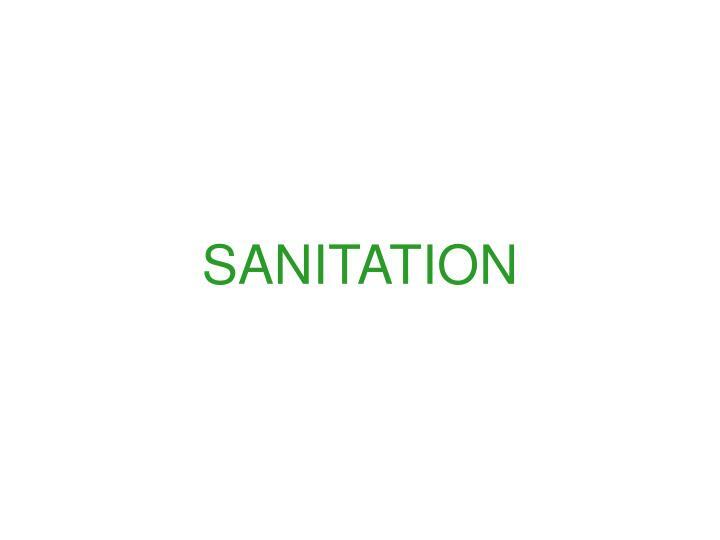 Lather Up - Wash hands, surfaces, and utensils between raw meat and other food. 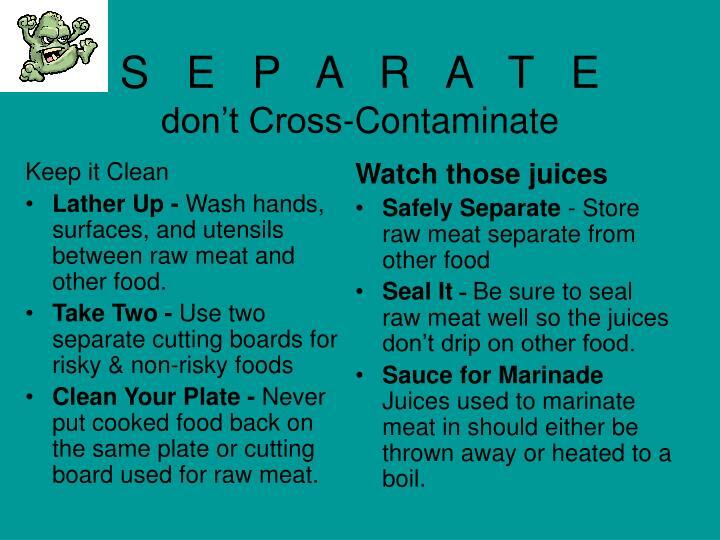 Clean Your Plate - Never put cooked food back on the same plate or cutting board used for raw meat. 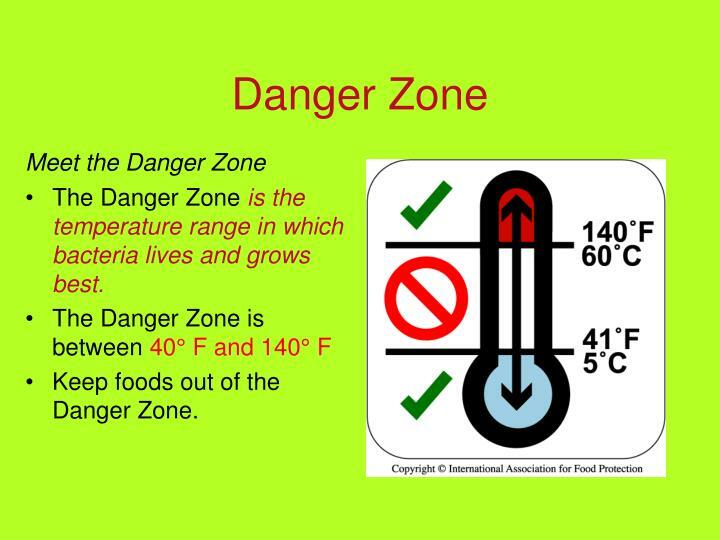 The Danger Zoneis the temperature range in which bacteria lives and grows best. 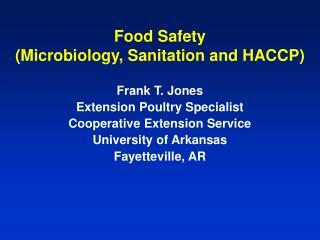 Keep foods out of the Danger Zone. 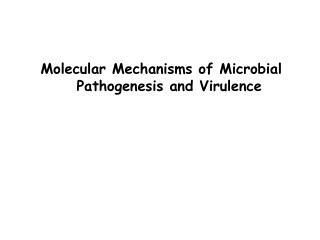 Cold temperatures keep most harmful bacteria from growing and multiplying . 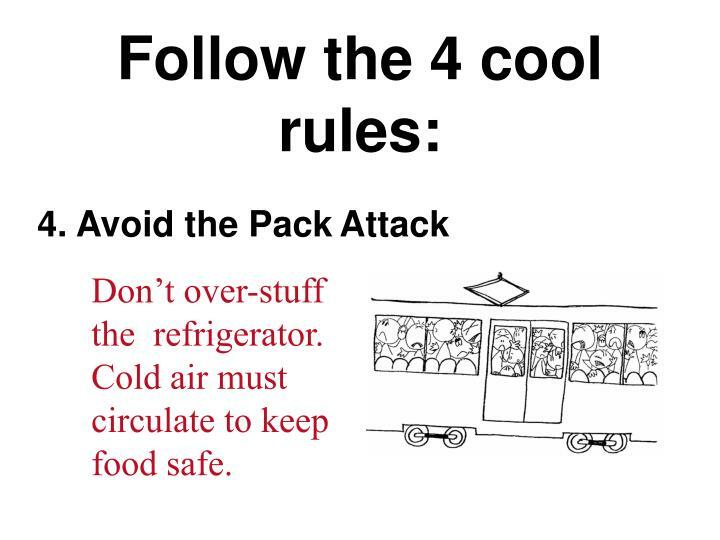 . .
Be sure to refrigerate foods quickly! 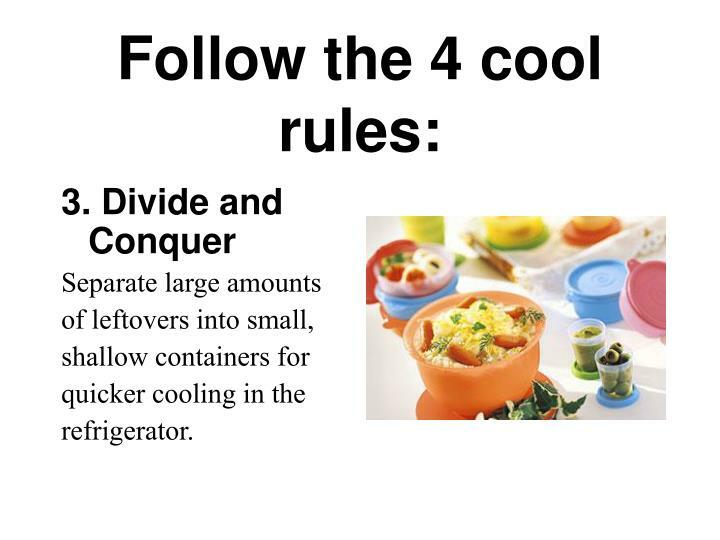 Do not wait for food to cool down to refrigerate. 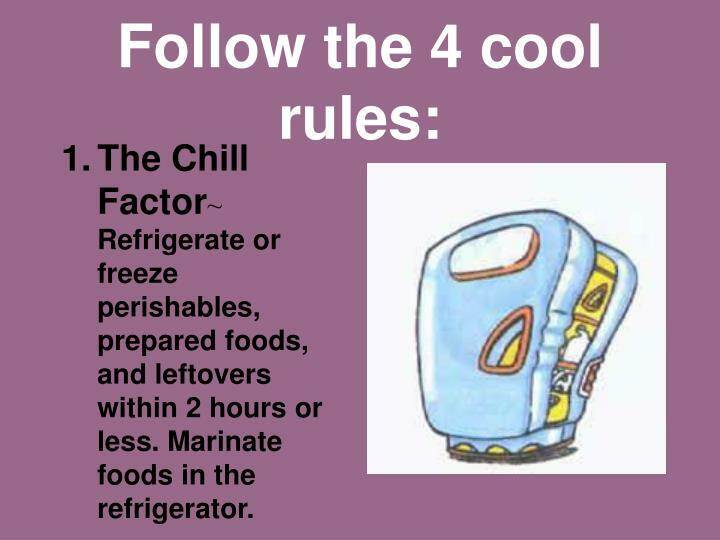 The Chill Factor~ Refrigerate or freeze perishables, prepared foods, and leftovers within 2 hours or less. Marinate foods in the refrigerator. 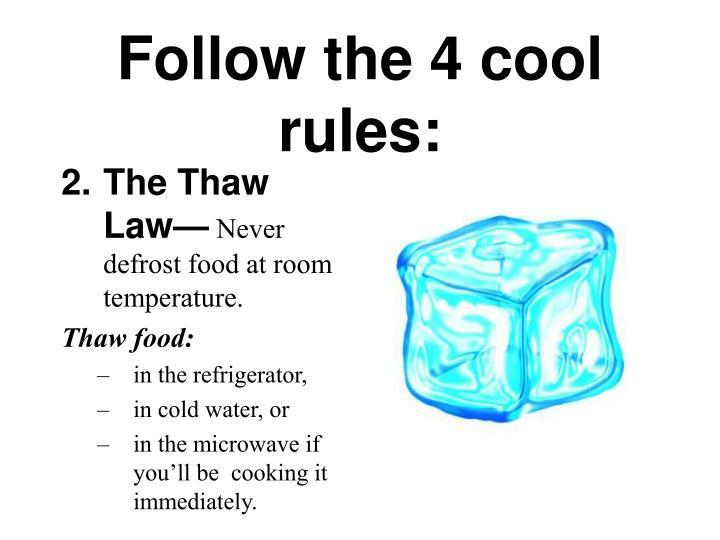 The Thaw Law— Never defrost food at room temperature. in the microwave if you’ll be cooking it immediately. Don’t over-stuff the refrigerator. 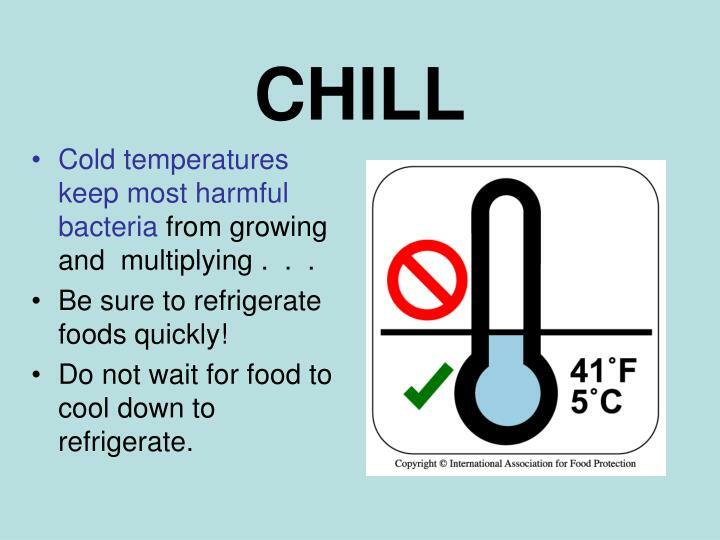 Cold air must circulate to keep food safe. 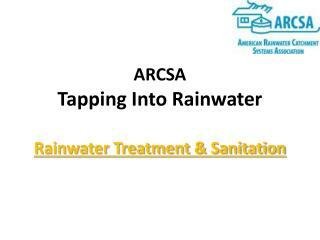 This kills harmful bacteria that can cause food borne illness. 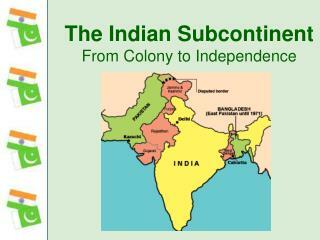 These temperatures vary, depending on the food. 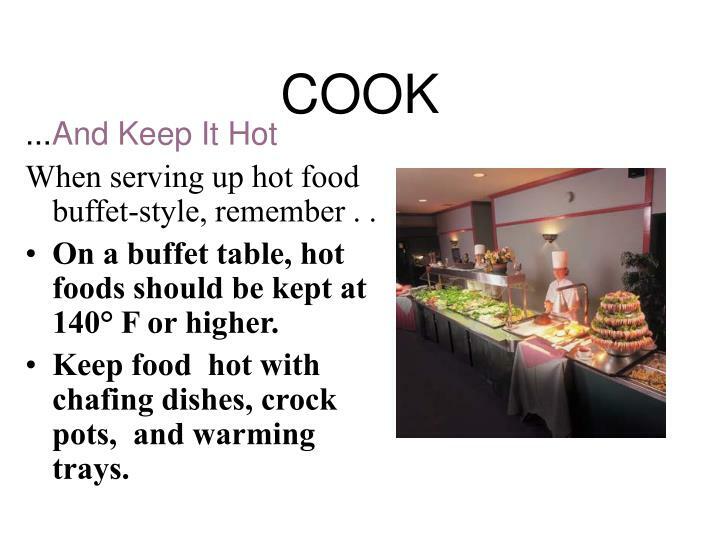 When serving up hot food buffet-style, remember . .
On a buffet table, hot foods should be kept at 140° F or higher. Keep food hot with chafing dishes, crock pots, and warming trays. When bringing hot soup, chili, or crab dip to an outdoor party . . .
Keep it all piping hot before serving. 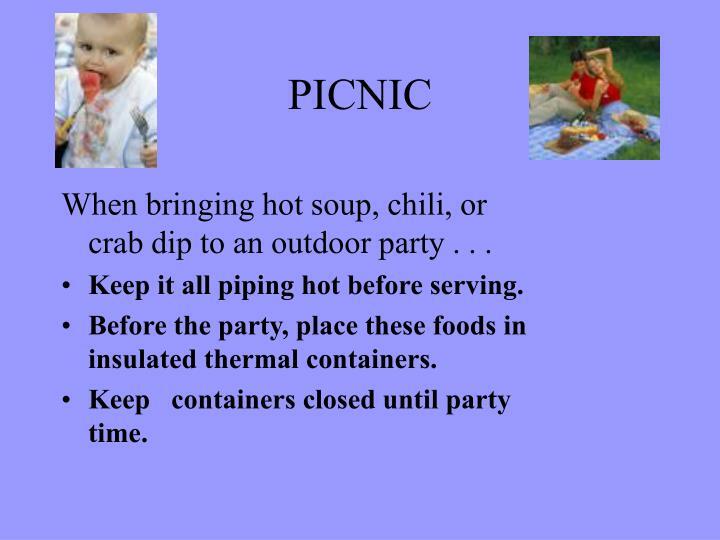 Before the party, place these foods in insulated thermal containers. Keep containers closed until party time. 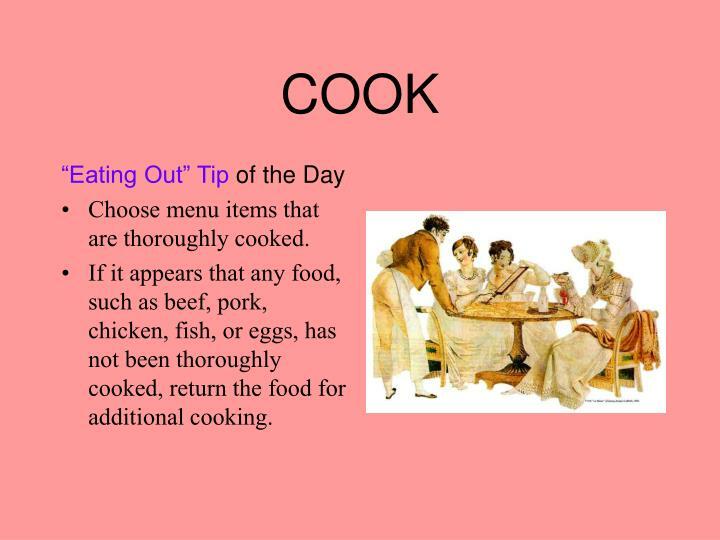 Choose menu items that are thoroughly cooked. 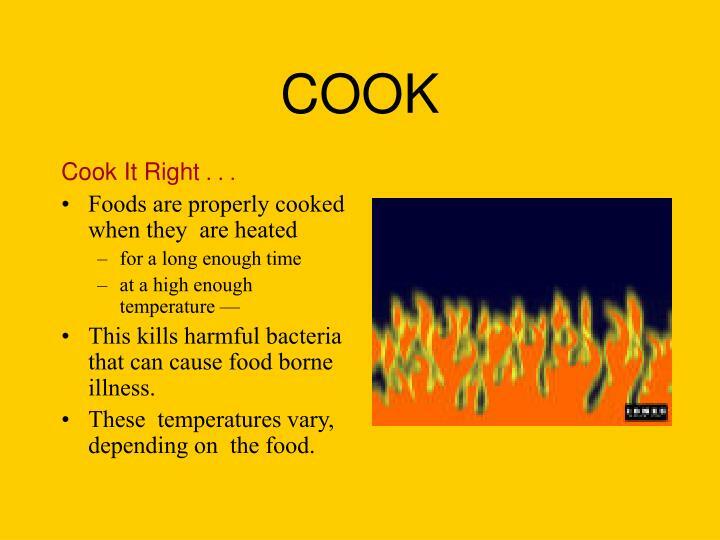 If it appears that any food, such as beef, pork, chicken, fish, or eggs, has not been thoroughly cooked, return the food for additional cooking. 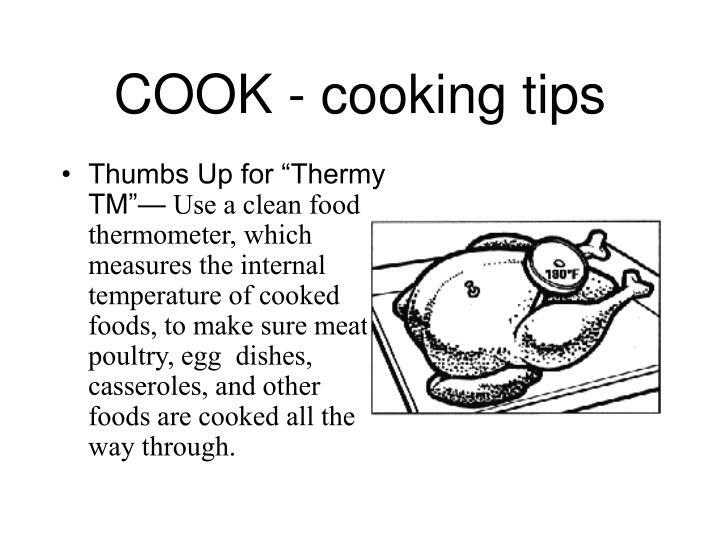 Thumbs Up for “Thermy TM”— Use a clean food thermometer, which measures the internal temperature of cooked foods, to make sure meat, poultry, egg dishes, casseroles, and other foods are cooked all the way through. 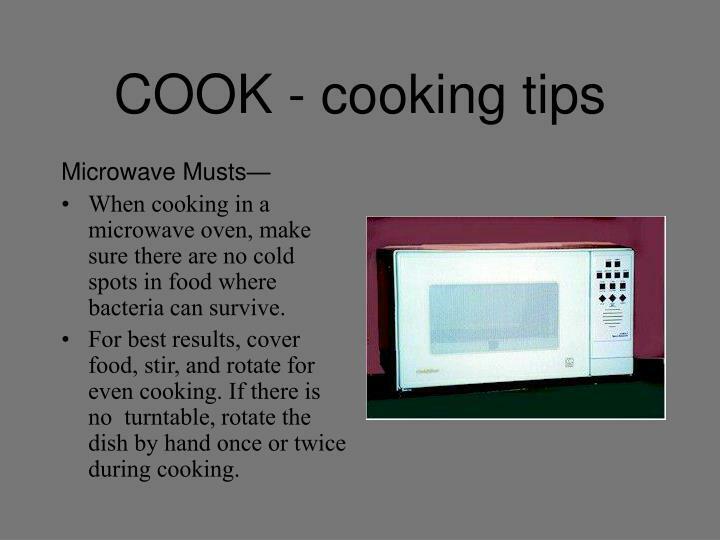 When cooking in a microwave oven, make sure there are no cold spots in food where bacteria can survive. 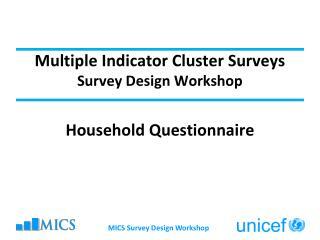 For best results, cover food, stir, and rotate for even cooking. 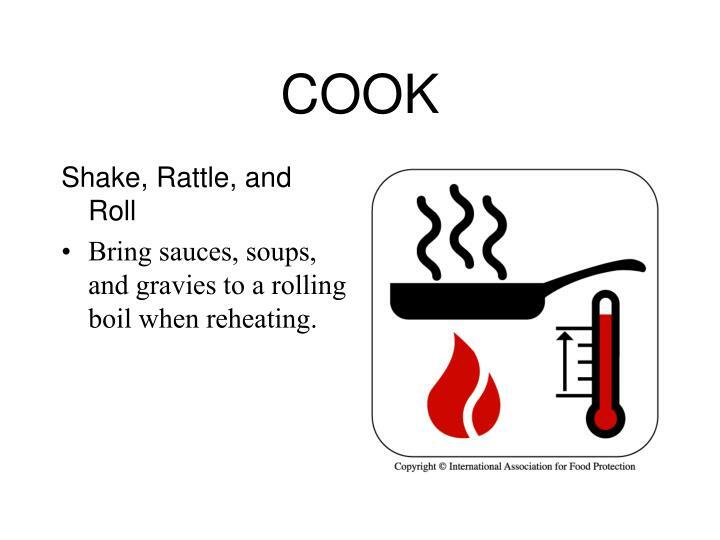 If there is no turntable, rotate the dish by hand once or twice during cooking. 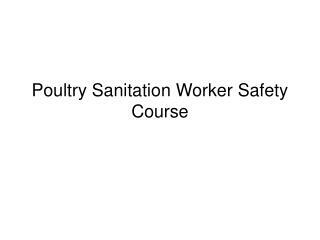 Poultry Sanitation Worker Safety Course -. 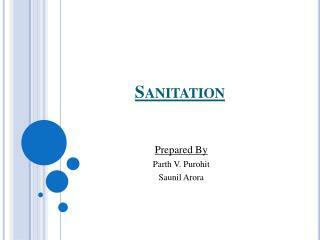 what is osha?. o ccupational s afety and h ealth a dministration responsible for worker safety and health protection. 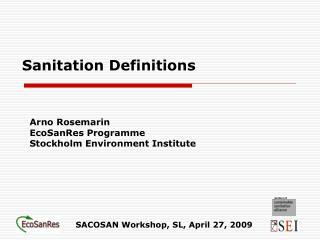 osh act of 1970. 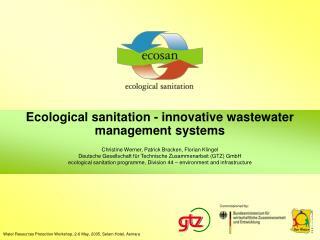 Food Safety Management Systems A Common Sense Approach to Sanitation Auditing -. 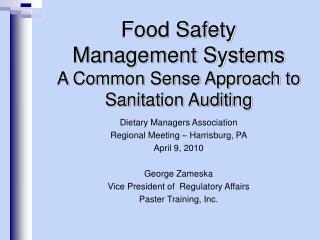 dietary managers association regional meeting – harrisburg, pa april 9, 2010 george zameska vice president of regulatory affairs paster training, inc. .